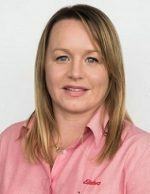 Melissa has been involved in the financial services industry for over 9 years at the time she joined Elders Financial Planning Pty Ltd as a Financial Planner. As an avid award winning highland cattle breeder, Melissa understands the challenges that regional and rural communities face in accessing quality financial advice. Having lived in a variety of places and then settling in the south east she appreciates the tranquillity of the rural lifestyle. As an Authorised Representative, Melissa believes in guiding her clients to achieve their goals by employing strategies that explore opportunities throughout the various stages of their financial future. She achieves this by helping her clients take control of their financial situation through education and mentoring and offering an ongoing support program to help clients achieve peace of mind that they are in control of their financial future.